Making hand-made switches is a good way of helping children understand how they work and which would be appropriate for a particular user and purpose in a product. For example, some lights may need to stay on, others to work only when held. 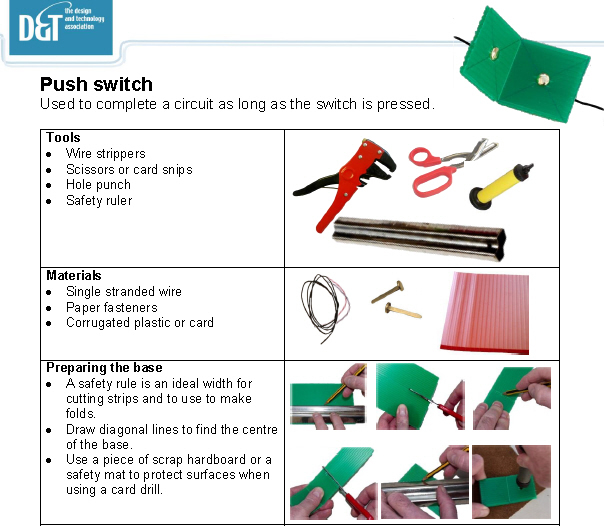 These switches can be put together using: scissors, automatic wire strippers and ruler. Use a card drill or hole punch to make holes in card. Materials can include card, corrugated plastic sheet, card wheels, paper clips, paper fasteners, click rivets, aluminium foil or self-adhesive copper strip. Make the parts from recycled materials where appropriate. 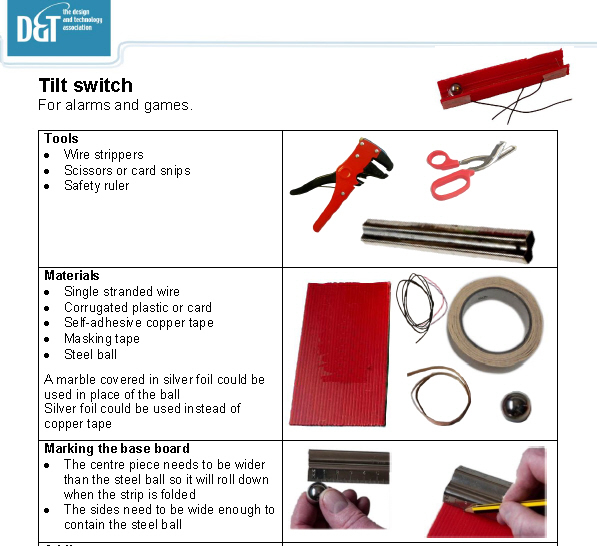 Information taken from Let’s Get Practical: Developing handmade switches.